Yes, it’s Christmas and another seller's market this winter and spring. If there is one thing most early forecasters agree on, it’s that home prices will continue to rise. If you have ever been on the fence of selling your home, now is the time to make the decision and list it. 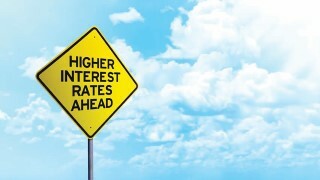 Mortgage rates are expected to increase with certainty and it is near impossible to forecast when and how high. The time is now to make the decision to list your home. Get ahead of the mortgage rate hikes because once this happens, you will lose a percentage of buyers that are on the edge of the affordability envelope; because the homes will become less affordable and worse, many will be knocked out completely out of the buyer pool. What should the seller be doing different when listing their home? The biggest difference is for sellers to think long and hard about who the potential buyer is for their home. Let us not forget what happened 10 years ago where an estimated 10 million Americans were forced into foreclosure when the housing bubble burst. Luckily, the effects of the Great Recession have since ended. So now I'll say it again, think about the potential buyer out there that has been waiting for the seven-year period to end so they can recover their credit and consider purchasing again. There is a large pool of buyers out there. Other types of buyers are Millennials and Baby Boomers who have been the primary target for marketers. I encourage you to think outside of the box and look to see who else is out there as a potential buyer. What should the seller always do when listing their home? This is simple, at least coming from a Realtor® it seems simple. • How long have you been in the business and selling homes? • What is your marketing plan? • What sets you aside from other agents? 2. Price your home to sell. This is a real important part of the process to successfully sell your home quickly and efficiently. 3. Have professional photos taken; provide floor plans if possible and 3-D walk-throughs or video. Buyers today are extremely visual and count on having these when looking online. 4. Understand the types of financing the buyers will have and what impact it can have on you. Different loans have different restrictions and can have future implications on what you have to do as a seller to comply with the financing guidelines. Using your Realtor's® knowledge and experience to guide you through selecting the right offer is key. While sellers are expected to remain in the driver’s seat in 2018, they will lose some of their power as inventory levels start to improve and rising mortgage rates shift some of the purchase power of the buyers. Please don't get caught off guard and miss the boat! As I have said since the beginning, please call a local realtor® for all your real estate needs no matter how big or small. We are trained professionals here to make your life easier. It's best to surround yourself with the right team of professionals that can continuously give you the right advice for all your circumstances.